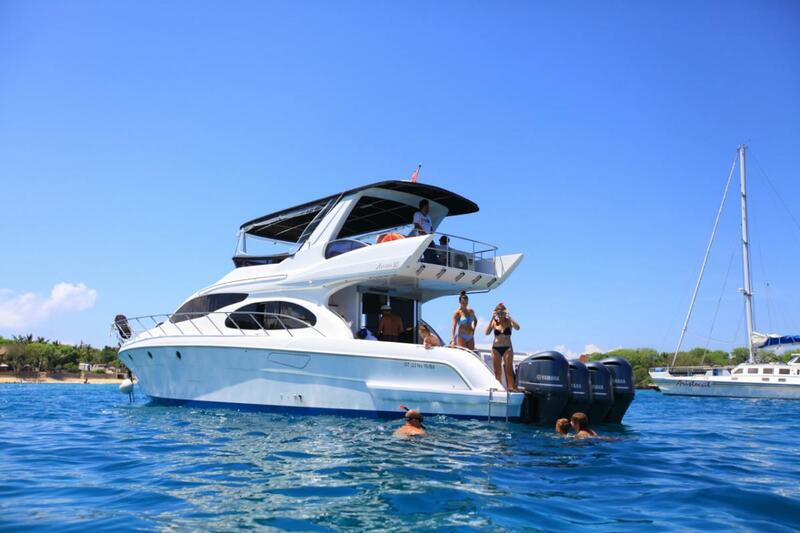 This 17 meter ACCURA 55 luxury cruiser is still one of the most respected and popular boats in the Balinese waters today. 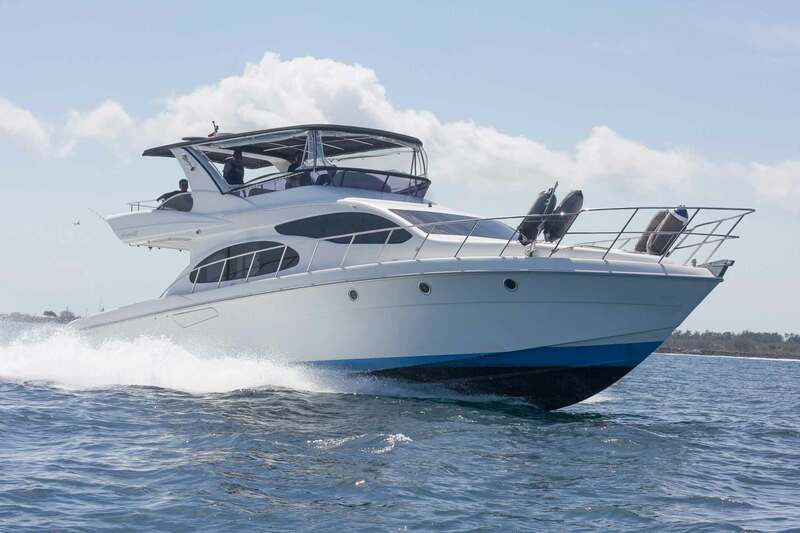 The 4 x 300HP Yamaha engines propel this vessel through the water at an impressive 30 Knots. 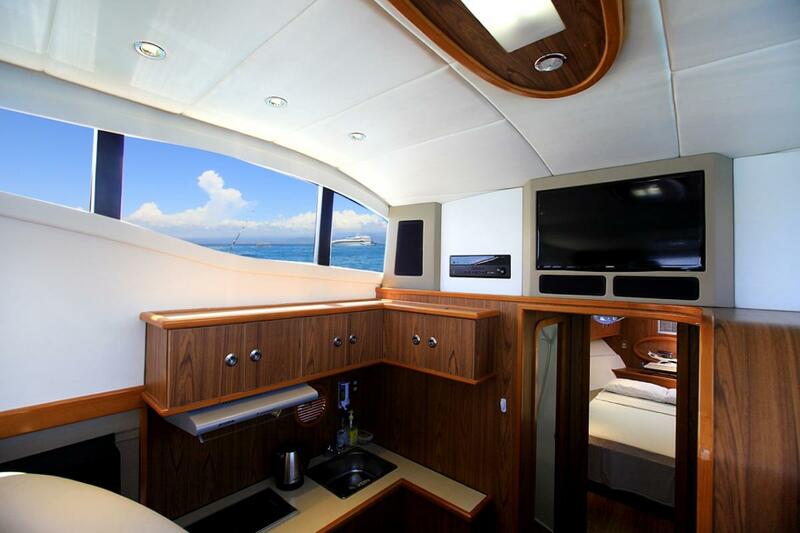 At 17 meters long and 4 meters wide it can accommodate up to 17 passengers comfortably, with enough cabin space for 4 guests for overnight trips and longer term charters. 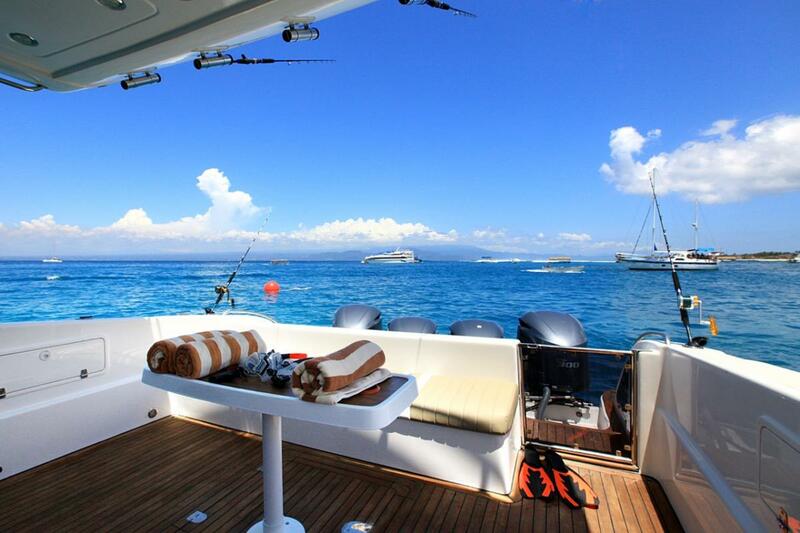 It comes with excellent quality fishing equipment and snorkeling gear. 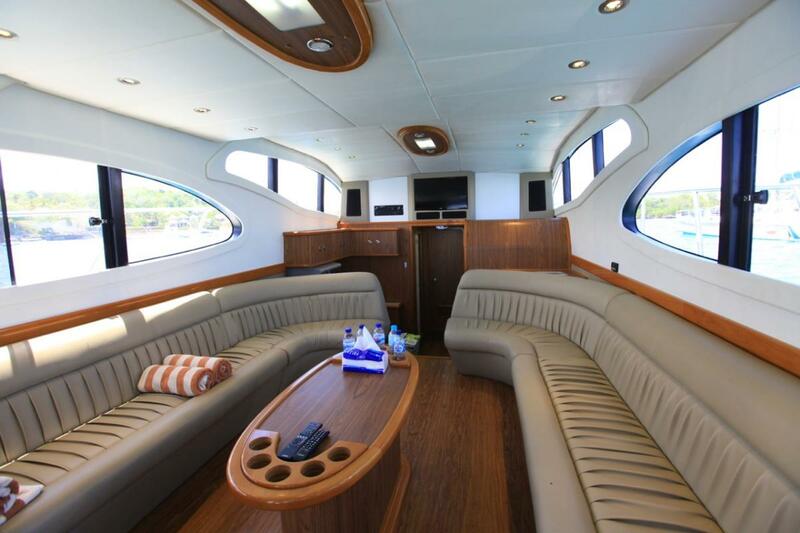 Charter this luxury cruiser today for an excellent day of fun and adventure on the water. The day begins with a complimentary hotel transfer in one of our air conditioned minivans, pick up is at 8.30am. We provide drinking water, soft drinks, fresh fruit, and ice. Lunch can be upgraded to a gourmet beef / chicken or seafood BBQ for an additional $30 per person. 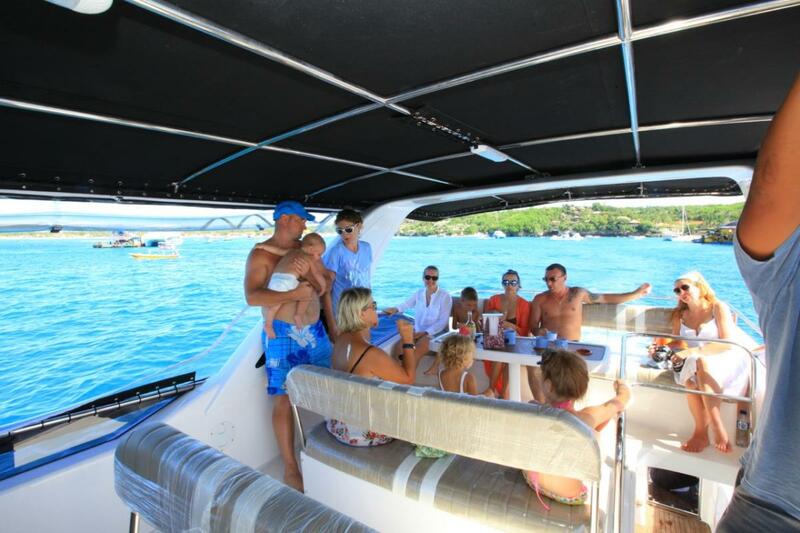 The professional crew are multi lingual and highly experienced sea men and can assist in fishing advice as well as the service of the food and beverages. They also know the best places for snorkeling and diving if you wish to do these activities. Our first priority is safety. Blue Marlin 1 has the latest safety features including sea safe tracking, satellite phone, 18 person life raft, floatation rings and life jackets as well as the newest Garmin GPS navigation device.